Established in Vietnam in 2002, the main aim of Dariu Foundation is to provide education to underprivileged children in developing countries. In order to achieve this, they promote micro-financing services and ensure access to basic education for the kids by granting scholarships, building kindergartens and providing mobile schools. 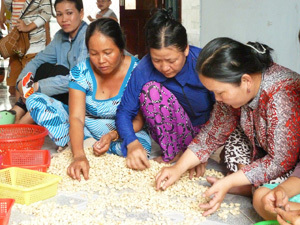 For the past ten years, the foundation has been supporting disadvantaged families in the south of Vietnam and now, are planning to expand their activities into Myanmar. Dariu’s activities aim to improve the financial situation of impoverished families by enabling them to build sustainable businesses and they achieve this goal by using a simple yet effective investment model. 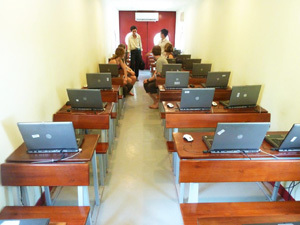 Our team has personally visited several Dariu projects such as their kindergartens, mobile schools, computer training for kids and various such projects which have made a huge impact on improving the livelihood of underprivileged people in Vietnam at large. We strongly believe that Dariu's micro-loan scheme and the investment of the achieved profits in education and related infrastructure provide a sustainable way of fostering entrepreneurship and education among underprivileged people. As such, we will be promoting Dariu’s activities among our stakeholders through various channels such as newsletters, trade shows, customer visits, news articles, social media and so on. In addition, our local Toradex team in Vietnam has been contributing to Dariu by supporting them with the development and maintenance of their Web presence. If you would like to know more about this wonderful initiative, please click on the link Dariu.org and find out how you can make a difference.